Game within the game for the Browns continues with this look at their third down pass protection. This is where they may miss the veteran presence of Ben Tate. 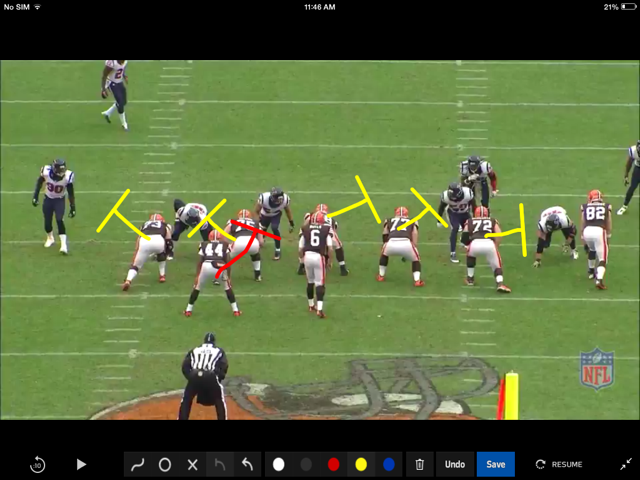 This is a six man pass protection which includes the 5 offensive lineman and the back. The center is working opposite the running back on this play. Ben has the linebacker left of the center. After the snap the pass rush becomes a three man charge. Ben’s linebacker drops out. (Circled in red) He feels a stunt to his left. The stunt has worked for the Texans and picks Joe Thomas. Ben has experience enough to check this before he releases and saves a sack. 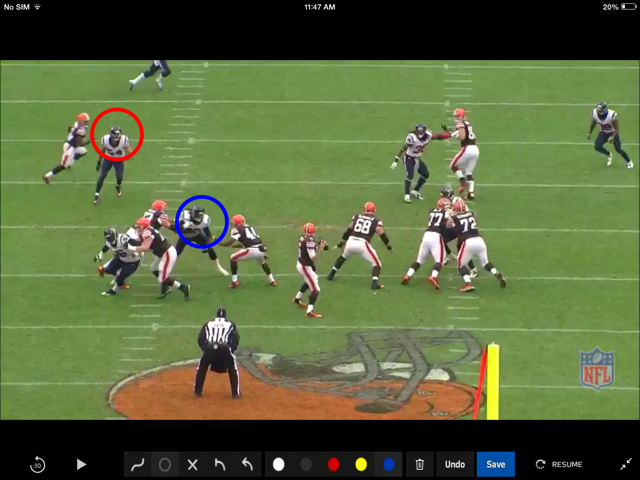 The play ends with Hoyer scrambling to the right and eventually throwing the ball away. Because the runner was aware it didn’t end with Clowney getting his first sack. The game within the game play by Ben is going to have to be taken up by West and Crow. As you can see, playing the role of a starter has a lot of responsibilities that come with it.